Yesterday, I wore a white tutu, goggles, and a home made cape that said "For Buddy. June 29th. My super hero in heaven". I then jauntily sauntered around the National Harbor with 5 friends and a few thousand fellow happy people. As we approached clouds of color, we were doused with powder that made us look like a rainbow vomited. 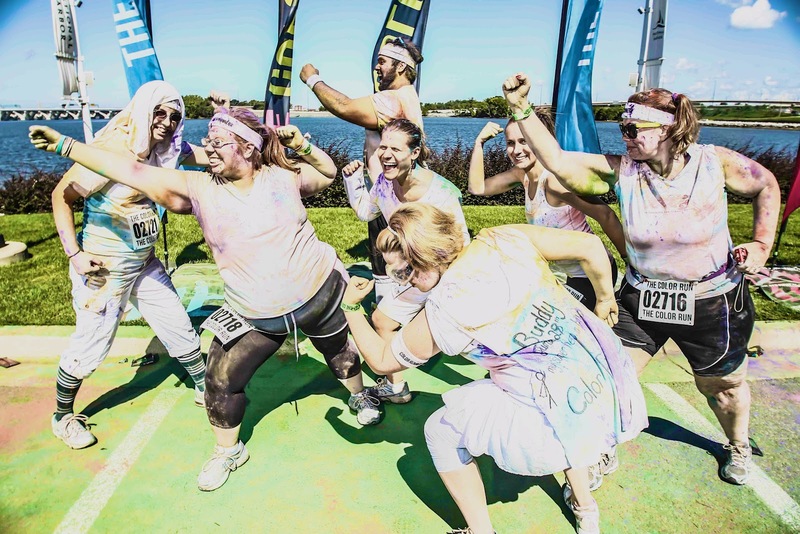 So why would we join thousands in DC and get dirty rainbow style? 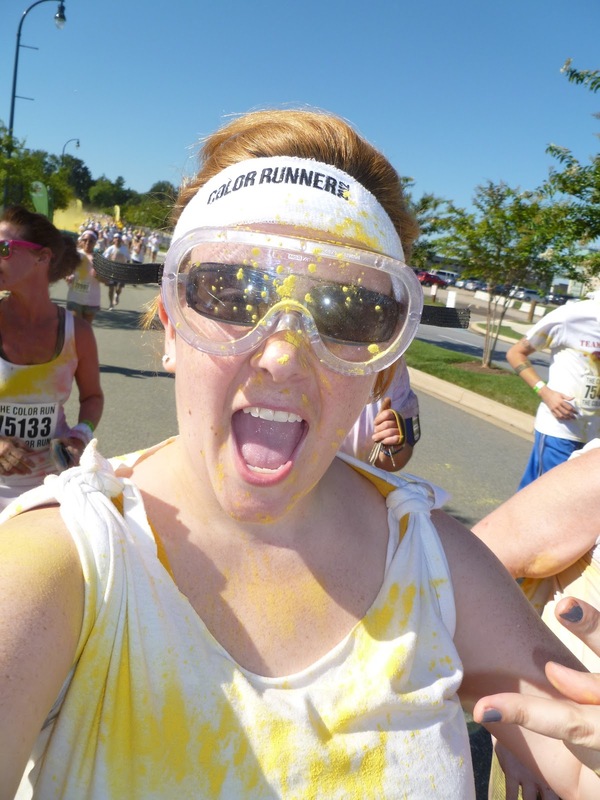 The Color Run! I couldn't think of a better way to honor my unborn babe. The run was for the Children's Hospital in DC. Honoring my child in heaven while helping sick children get better? win win. I signed up to do the race shortly after finding out I was pregnant. It was going to be our first run together. I'm glad we were still able to do it, even if he was soaring beside me in spirit. 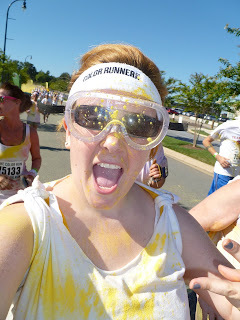 The 5k ended in a giant block party with loud music, clouds of color, and strangers doing a conga line. It was like a giant wedding reception with a ton of sober happy drunks. Getting the color off of our bodies wasn't as fun as we had hoped, but after a few scrubbings we were good as new. I also sneezed blue. Ashley said it looked like Buddy was having fun on my cape :) As I posed for my final photo, I couldn't help but cry. I'll always miss the baby I never met. I'll always dream about what he would have been like, smelled like, and looked like. I'm so glad that I have this opportunity to celebrate his memory and help other children in the process.